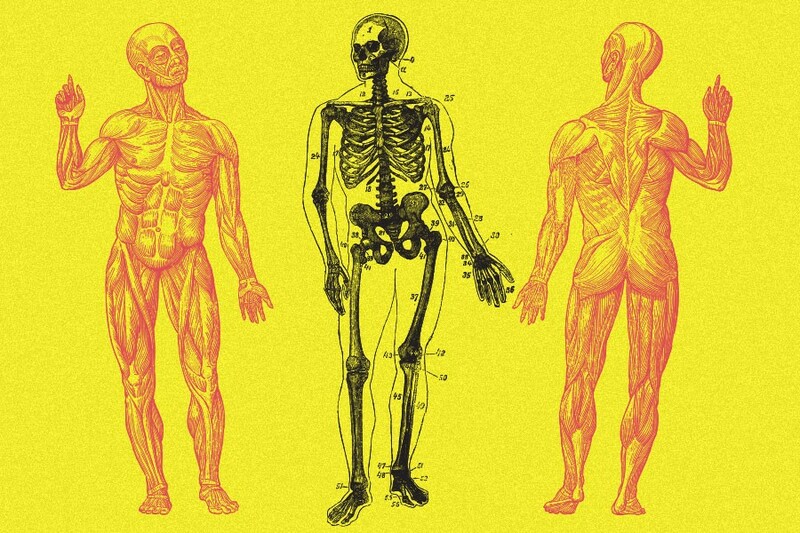 What Does a ‘Natural’ Human Body Look Like? If you’ve ever spent more than 20 minutes inside a gym, you’ll have noticed the wide variety of body shapes huffing and sweating alongside you. You’ll have seen hulking bench-pressers with pectorals like car doors, for example, alongside spectrally thin treadmill-pounders or office workers rowing against the rising tide of middle-age spread. But what you’d have been unlikely to encounter is a human specimen in its pristine “natural state” — that is, a body truly representative of our species before the great, epoch-making advances such as agriculture, technology, sedentary lifestyles and triple chocolate cheesecake took hold of us and bent us all out of shape. For a society obsessed with its various images of bodily perfection, it’s weird that very few of us have any idea of what this archetypal human form would actually look like. More to the point, is it even possible to bypass the influence of 10,000 years of civilization to catch a glimpse of an authentic Homo sapiens physique? As one of the world’s leading paleoartists (artists whose work depicts the prehistoric natural world), sculptor and painter John Gurche has thought about questions such as this one more intently than most. His art has graced the covers of National Geographic; he was a consultant on Jurassic Park; and his iconic sculptures of early humans and hominids have been seen by millions of visitors to the American Museum of Natural History in New York and the Smithsonian National Museum of Natural History in Washington, D.C. (as chronicled in his 2013 book, Shaping Humanity). Modern humans are thought to have evolved in Africa some 200,000 years ago, and in a hot climate, such long, lithe limbs and torsos would’ve helped the body to release heat and keep cool. Over the millennia, as our species spread north to colder climates in Europe and Asia — and as the last major ice age took hold some 20,000 years ago — shorter, stockier body types also emerged, which were better adapted to retain heat and keep warm. So thanks to changes in climate and habitat, the natural anatomy of modern humans had already splintered into a variety of different forms by the time we discovered the advantages of farming in settled communities around 10,000 years ago. This milestone in our history — taken by many to mark the end of the Stone Age — was the beginning of the end for the nomadic hunter-gatherer existence that had been driving human evolution up to that point. And ever since we settled down to herd livestock and sow seeds, relatively little has changed in terms of our underlying physiology. Instead, the main differences between modern physiques and those of our hunter-gatherer forebears come down to how we use and abuse our bodies today — and how far removed 21st-century lifestyles are from those the human body had originally evolved to support. For a sense of how wide a gulf there is between our civilized habits and the lives we actually evolved to live, Gurche points to the work of Lieberman and others on the so-called “mismatch hypothesis” — the idea that many modern maladies (including obesity, type 2 diabetes and osteoporosis) are the direct result of giving up our hunter-gatherer ways ten millennia ago. In his book, Lieberman calculates the energy expenditure of the Hazda, a modern-day hunter-gatherer tribe in Tanzania. An average male member of the tribe weighs 112 pounds (the average American man in 2016 weighed close to 196 pounds) and walks 9.3 miles a day, which far outstrips the widely touted daily target of 10,000 steps — around five miles — in the pedometer-enabled West. All of which leads to a rather startling conclusion about our bodies in their primeval state: People often use “Stone Age” to disparage something as a primitive throwback, but really, it’s modern humans who are horribly out of step. And honestly, who wouldn’t want to swap their battery-fed, under-performing, 21st-century carcass for a strapping, free-range Stone Age body? Sadly, for most of us that will be out of reach. As Lieberman puts it, “hunter-gatherers are essentially professional athletes whose livelihood requires them to be physically active.” Which is why you won’t see any perfectly natural human bodies on show at your local gym — but you might see them competing at the Olympics.